But only a few know about a contemporary battle fought between the FLU and the Man. FLU is a fluent infection caused by influenza virus which affects man especially children and old people because of their weakened immune system. Usually infection caused by Influenza virus is mild and self limiting only lasts for a week. But it turns deadliest when it mutates. When it mutated in 1918 it killed more than 50 million people which is approximately 3% of world’s population at that time. The 1918 flu pandemic called as the Spanish flu which lasted from March 1918 to June 1920, killed more people than World War I. 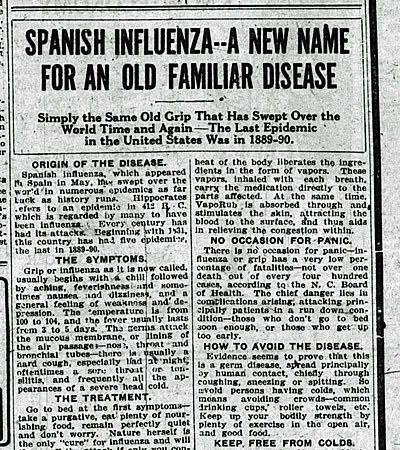 Though the first case was reported in US it got he name Spanish Flu because Spain remained a neutral country in WWI and had the freedom of spreading the news about the pandemic without any troubles. Spanish King Alfonso XIII was gravely ill and he was the highest profile patient of the pandemic. Spanish Flu affected the people all around the world, not even spared the islands in Arctic and Pacific. In India almost 5% of population died at that time due to Spanish Flu. The Flu invaded the landscapes in two installments. The first wave affected the people with low immune status such as infants and elderly people, typical of flu epidemic. The second wave became the most deadly which began in autumn 1918. With the travel of soldiers from one country to another, spread of virus made with ease. Moreover the health and living environments were very bad due to war which also contributed to the spread of the disease. People who had exposure to first wave had some resistance for the second wave. At last in 1920 the rate of infection began to decrease and ended. The pandemic’s effect was very severe as it caused the double trouble along with WWI. Almost everyone affected by the pandemic and those managed to escape from flu dealt with the public health ordinances to restrain the spread of the disease. 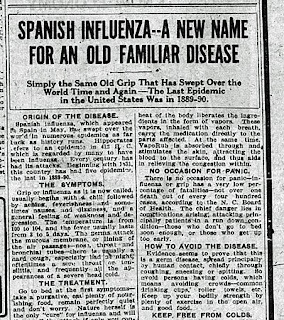 Key words: Pandemic, WWI, Flu, Spanish Flu, Influenza, Common Cold, 1918 Flu.